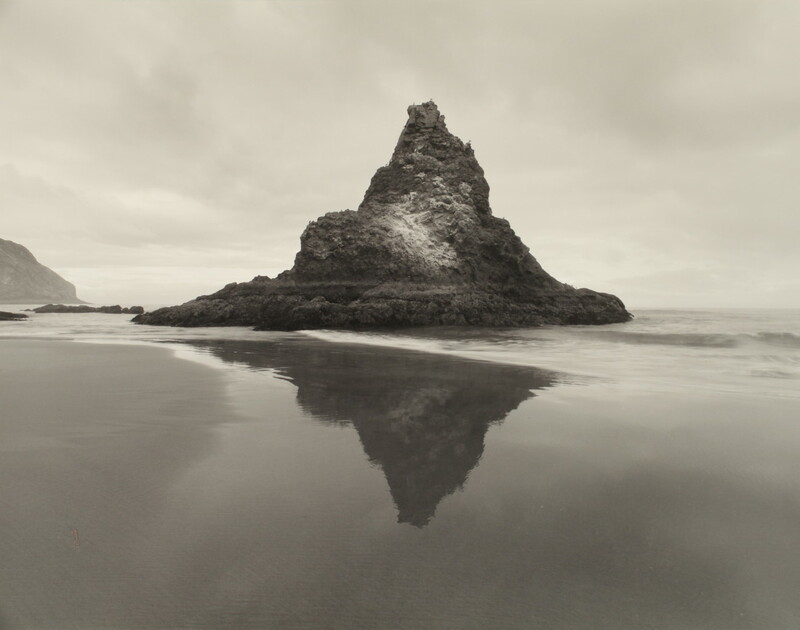 Influential photographer Terry Toedtemeier (1947-2008) is known for his explorations of natural rock formations in the Northwest landscape as well as for his roles in the Northwest art world. As a born and raised Oregonian, Toedtemeier created artwork deeply infused with the spirit of his homeland and the awe-inspiring beauty that defines much of the state’s varied geography. He traveled to some of Oregon’s most remote regions to capture grand places such as the Steen Mountains and Owyhee River – these bold yet poetic photographs evoke both loneliness and grandeur. Toedtemeier studied geology as a college student, and his fascination with the ongoing forces that shape the region continued throughout his career. The self-taught photographer co-founded Portland’s Blue Sky Gallery in 1975 and was the fi rst curator of photography at the Portland Art Museum. Sun, Shadows, Stone, the first exhibition to focus on the photographer and teacher’s entire career, was curated by Rock Hushka of the Tacoma Art Museum. Early works focus on friends and family as subjects. Toedtemeier’s renowned landscape aesthetic gained critical acclaim during the 1980s, informed by his pronounced understanding of early photography of the American West. Toedtemeier’s later work in digital and color photography shows an artistic spirit of experimentation with his medium of the camera lens. The artist’s defining pieces have a formal respect for the landscape of his native state. Toedtemeier was committed to Oregon’s history on many levels. Shortly before his passing, his photo book and exhibition Wild Beauty documented the Columbia River Gorge from 1867 to 1957.